Human actions are causing our planet’s climate to become increasingly unstable. We are beyond the point where that fact is open to debate. Most Americans, Republicans and Democrats both, now accept the reality of climate change. That’s based on fascinating data visualizations provided by the Yale Program on Climate Change Communication. Republicans, far more than Democrats and others, are unsure that there’s a human role or that scientists have reached agreement on what is happening. 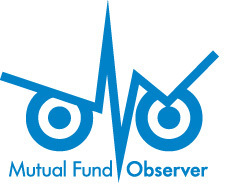 This entry was posted in Mutual Fund Commentary on March 1, 2019 by David Snowball. Vanguard – Going, Going, Gone! On January 16th, John Bogle, age 89, died in his home in Pennsylvania. Mr. Bogle’s efforts on behalf of indexing and individual investors were widely honored and remembered. On January 22nd, Vanguard created the PDF for the Wellington Fund Annual Report, dated November 30, 2018. The US Postal Service distributed paper copies of this report during the first week of February. This entry was posted in Mutual Fund Commentary on March 1, 2019 by Ira Artman. This entry was posted in Briefly Noted, Mutual Fund Commentary on March 1, 2019 by David Snowball. But, it is, in general, the best place to begin the search for the answer. Optimists, who assume things will work out, tend to see more paths forward, more options worth considering, than pessimists (often dubbing themselves “realists”) who know that it’s eternally time to duck-and-cover. The word “optimism” entered the English language (1759, in French 1737) several generations before pessimism (1794) did.